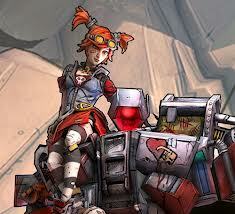 With the Borderlands 2 DLC released, users finally got access to Gaige the Mechromancer. The Mechromancer class has a fantastic skill tree that makes her very versatile. She can have huge damage at her disposal using an Anarchy skill build for a very high damage per second / high dps Mechromancer build. Or she can focus her points on Death Trap — her robot — and tanking skills — to make a Mechromancer Tank Build. A good build for solo’ing is below. It’s also good for duo / duoing and even bigger parties. Mechromancer Class Mods can further improve it to give you yet even more skill points for free. Alter some of these depending on your playing style and be sure to use Deathtrap! He is good at distracting enemies and killing some of them in particular. Some of the skills were chosen for defensive purposes at the cost of increasing DPS. Change at will! Hope our guide was able to help you with your Mechromancer build. It’s a fun class! If you need more help check out Borderlands 2: Best Solo Build for Mechromancer. Have a better build? Post below! This entry was posted	on Thursday, October 18th, 2012 at 12:33 AM	and is filed under Games. You can follow any responses to this entry through the RSS 2.0 feed. You can leave a response, or trackback from your own site.